Q. You've been on a tight schedule since you made a comeback with your new song "Red Flavor". A. Well, we support each other, and we feel encouraged when we receive huge support from our fans. "Red Flavor" is a great summer song, so we hope you can beat the summer heat by listening to the song. Q. You've topped various music charts. Did you expect success? A. We always hope to get good results, but we don't aim at no.1 place. We just wish our song would be loved by many people. We always feel thankful to our fans. Q. Your hit "Dumb Dumb" was recently included in Billboard's "100 greatest girl group songs of all time" list. A. We were really surprised. And it's an honor for us to be included in the list with Girls' Generation and f(x). Q. 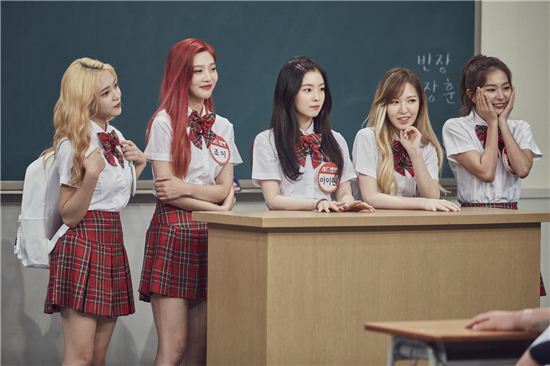 What was it like filming "Knowing Bros"? A. We're happy that we could show a new side of ourselves through the program. Actually, we felt a burden on our shoulders because it was our second appearance in the program. However, we could enjoy filming the program thanks to Kim Heechul. He took very good care of us even though he threw some mischievous questions. Q. It seems like you became a new summer queen of k-pop. A. Well, we wish we could be. We just tried to show our own characteristics more clearly because it's our first time to make a comeback in summer. We'll try to release our new album every summer from now on. And please look forward to our first ever exclusive concert to be held from August 19-20. 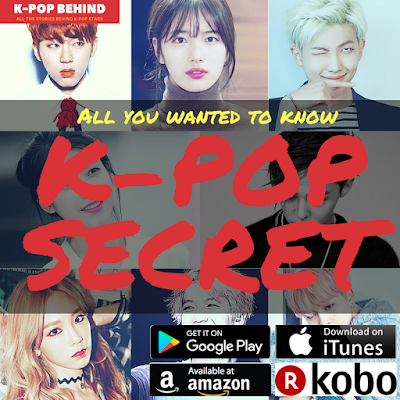 K-pop Secret Vol.5 contains stories about k-pop idol group ranking. As an experienced k-pop journalist, the author tells the story of the latest trend in the k-pop world. The book includes various stories about the hottest k-pop idol groups such as EXO, BTS, GOT7, TWICE, BLACKPINK and Red Velvet, while the latest version of k-pop idol group ranking is also included in it.